In 1994, over a million people were killed in Rwanda, when Hutu tribe committed genocide against the Tutsis. Today, there’s no tribal division here, with all the citizens calling themselves simply Rwandans, and working every day to prevent the deadly schism in their society. RTD visits the first ever ballet school in Rwanda, where young dancers strive to realize their dreams and to give their country a better thing to be famous for. 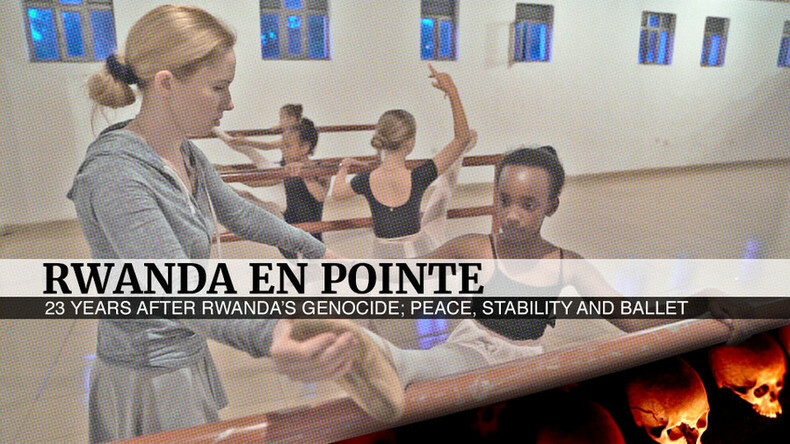 Watch "Rwanda en pointe" on RTD website and on RT’s live feed. The time of the broadcast is available on RT’s schedule page.